Center City's Christmas-themed bar, Tinsel, is located in an old jewelry store and filled with glittering, twinkling treasures. There are chandeliers made from presents, a 500-ornament sculpture, a 9-foot tall gingerbread house, a throne for Santa, icicles and multi-colored Christmas lights. It's an explosion of Christmas cheer, even bigger and better than last year. Once Dec. 25 passes, however, Tinsel isn't ready to let go of Christmas. In fact, the bar wants to carry the merry spirit into the new year. For those who love, love, love Christmastime, this is the place to be on New Year's Eve. No one will judge you if you ring in 2019 with egg nog instead of Champagne, wearing an ugly sweater instead of a sparkly ensemble. The festive bar is throwing a party to end the year. There will be a five-hour open bar (9 p.m. to 2 a.m.), DJ and hors d'oeuvres. Tickets are $85 per person. 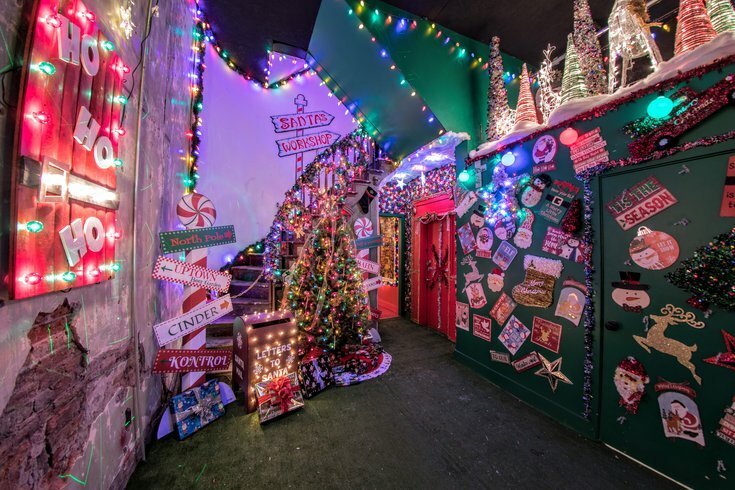 It will be the last chance to experience Tinsel this winter.